It was 9 years ago when my wife and I purchased our first dividend stock for the Money Sprout Index. We didn’t know that much about investing in dividend stocks at the time. My wife and I didn’t have a strategy or plan … other than a desire to earn dividend income each month. The limited investment research we did, led us to a company called Consolidated Edison (ED). From what we could tell, the company looked to be a promising dividend investment. So … we took a chance and decided to buy 25 shares of the stock. Our initial analysis was right on and we still own the stock today. In fact, it has the highest yield on cost (over 10%) of any dividend stock we own. Back in July of 2008, we made our first stock investment that helped lay the foundation for our dividend income portfolio. The company was Consolidated Edison (ED) and we purchased 25 shares at the time for a total investment of $977.50. That comes out to $39.10 per share of stock. We have held onto these 25 shares since that original purchase and have watched our investment grow … and grow … and grow even more! Here are a few highlights of how our 25 shares of Consolidated Edison (ED) have grown over the past 9 years. 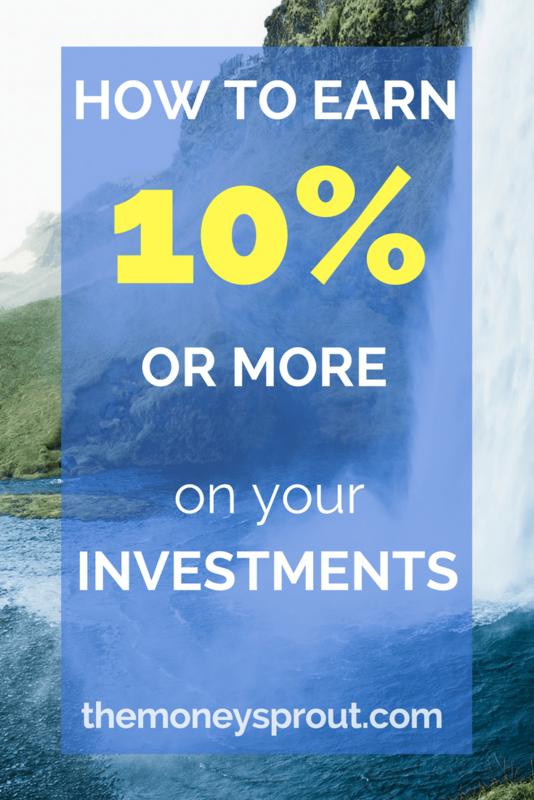 The stats above only show the dividends for this investment … no capital gains. You see, the great thing about investing in companies like this … is that their value goes up over time too. If we were to sell our 37+ shares today, the value of those stocks would be well over $3,000! When we first purchased our 25 shares of ED, there was no plan to hold these shares for the long term. At the time, we had just discovered the dividend growth strategy. Prior to that, we had more of a short term view when it came to investing. Looking back at this first purchase, we have now realized that by investing in shares of this dividend stock 9 years ago, it was the start of something big. As we watched this small investment grow, other companies were added to the portfolio. Companies like Johnson & Johnson (JNJ), Proctor and Gamble (PG), and McDonald’s (MCD) were soon bought. Now, we own over 25 stocks in the Money Sprout Index and will earn over $2,400 this year in dividend income! For those who are skeptical of buying and holding top dividend paying stocks for long periods of time – please follow this advice. Invest in the best companies that pay dividends and hold onto them ... unless they cut their dividend or no longer fit with your strategy. We could have easily sold our position years and years ago for a small profit. But instead, we leveraged compounding interest to grow our investment faster and faster. Our dividend income earned from 25 shares of ED has blossomed into over 37 shares. All of these additional shares were built up over the years through dividend reinvestment (DRIP). So anytime we received a dividend payment (35 and counting) … we reinvested that money back into more shares of the stock (12.352 to be exact). The amount of dividends earned in that time from all those shares is $677.61. 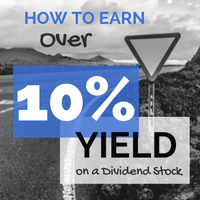 We have earned back 69.3% of our original investment … just from dividends! I estimate that in about 3 years (or less) … we will have earned back more in dividend income than what we paid to own the original 25 shares. That is the awesome power of dividend stocks and compounding interest. Consolidated Edison – Buy, Sell, or Hold? So would we consider buying more shares of ED today? Or should we sell this stock and take our profits? At the end of May (2017), my analysis of Consolidated Edison would be a HOLD. The stock has been great to us and was part of the foundation we built for this portfolio over 9 years ago. While the dividend has been increasing year after year … the 5 and 10 year growth rates have been very slow. Both are under 2.5%, so the dividend has not been growing as fast as we would like to see. The Payout Ratio is a bit higher than we would like to see as well. Normally we screen for stocks that have a DPR of under 60%. Consolidated Edison is paying out over 66% of earnings in the form of dividends. And even though buying new shares of ED does not look attractive right now, there is zero reason for us to sell our shares. The company continues to increase dividends and we are earning over 10% yield on our original shares! Plus in about 3 years, we will have earned more dividend income from ED than what we originally paid for 25 shares! Consolidated Edison was the very first member of the Money Sprout Index. My wife and I bought 25 shares of ED over 9 years ago with very little knowledge of dividend investing. Fortunately, we settled on a investment strategy soon after the purchase of these shares. That strategy has forced us to hang onto these shares for all those years. Now … in less than 3 years, our investment will likely have doubled in ED! That is the reward for taking a long term buy and hold investment strategy. Note – I wrote a similar article 2 years ago on our Consolidated Edison investment. At the time, we had owned the 25 shares for 7 years and were earning a 9% yield. I love being able to share that we now are over 10% yield with the stock! Full Disclosure – At the time of this writing, we owned shares in the following stocks noted in this post – ED. The material above is not a recommendation to buy. Please do your own research on a company before deciding to invest.